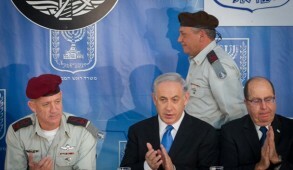 As anticipated, the Obama administration’s efforts to impose a peace settlement have proved to be a disastrous failure. It is immaterial whether the negotiations formally break down or a face saving “framework agreement” is adopted which is non-binding and incorporates sufficient reservations to make it meaningless. Regrettably, the US intervention has only exacerbated the situation and even undermined the chances of low profile interim progress and economic cooperation. The peace settlements between Israel and Egypt and Jordan were achieved because both parties sought to come to an accommodation. The US did not then seek to impose solutions. It only became involved as a facilitator and honest broker after both parties had taken the initial steps and invited them. The flawed initiatives by the Obama administration have resulted in the standing of the US in both Israel and the Arab world plummeting to its lowest level. 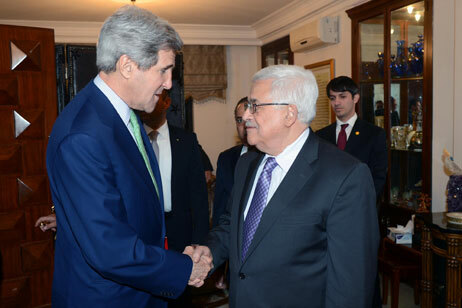 US Secretary of State John Kerry has blustered and zigzagged between intimidating and occasionally placating Israel. The pressure was exerted overwhelmingly towards Israel whilst the Palestinians, who were treated with kid gloves, refused to make a single meaningful compromise. This generated enormous frustration and resentment of the US amongst Israelis. The positive memories of Obama’s visit to Israel and the ongoing defense support and co-operation – now at an all-time high – were overshadowed by Israeli anger against the US for bullying its government into releasing brutal mass murderers who were subsequently glorified as heroes by the PA. The PA demanded this as a prerequisite to even agreeing to negotiate. An uninformed observer would assume that Israel was the supplicant and would be unaware that the territories were acquired only after Israel vanquished an Arab conglomerate which had initiated a war to annihilate it. American and European leaders still delude themselves that the Israeli Palestinian conflict relates to two hostile people fighting over real estate. They seem unaware that both Arafat and Abbas rejected Israeli offers of 95% of territories over the green line, without even making a counter offer. By now, they should recognize that the objective of the Palestinian leaders is not the acquisition of land, but end of Jewish sovereignty in the region. This explains their adamant refusal to recognize Israel as a Jewish state. 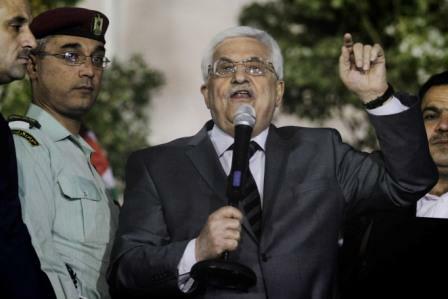 The US administration ignores the reality that the corrupt and duplicitous PA chairman, Mahmoud Abbas, even if he desired, has no mandate to make any concession and if he deviated, would likely be assassinated. The persistent pressure on Israel to make unilateral concessions without reciprocity has merely empowered the Palestinian extremists who smugly demonstrate that intransigence pays off. The US policymakers also fail to appreciate that the differences between the PA and openly genocidal Hamas are primarily tactical. The PA believes that their strategy of diplomacy and the dismantling of Israel in stages is a far more effective tactic than terrorism (to which they repeatedly threaten to revert). But both the PA and Hamas share the same goal – the elimination of Israel. It is now time for the Obama Administration to accept the reality that the PA has evolved into a criminal society. How else to define a regime which brainwashes kindergarten age children into believing that Israel and the Jews are evil parasites and continuously calls for the elimination of the Jewish state? This demonization of Israel is reinforced daily by the mullahs in the mosques and the PA controlled media. In addition, terrorists are sanctified, treated as heroes and awarded state pensions. There are obvious similarities between the Nazi brainwashing of the German people and what Arafat and now Abbas have imposed on the Palestinians. Due to Obama’s initial personal intervention, the settlements – a mere 3 to 4% of territories over the green line – have now become a central issue. While Israelis differ over the role of settlements in remote areas, they are frustrated that home constructions in Jewish suburbs of east Jerusalem and within the settlement blocs that will remain in Israel generate infinitely greater global condemnation than the mass slaughter in Syria. 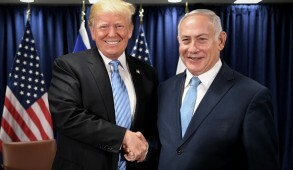 Yet despite all the efforts and concessions Israel has made, there are signals that the Obama Administration will cast the blame on us for the failure of negotiations, which we realized from the outset were doomed as a hopeless charade. The recent histrionic US attacks against Defense Minister Moshe Ya’alon for expressing concerns with aspects of American foreign policy impacting on Israel testify to this. That Israel is again being pressured over prisoner releases is scandalous. The government was bludgeoned by the US into releasing these mass murderers on the clear understanding that the four phases of release would only be fulfilled if there was progress in the negotiations. Abbas has made it abundantly clear that he will not compromise on anything and yet the Americans persist in exerting pressure. There are unconfirmed reports that the Americans are even considering the release of Pollard to make the terrorist release more palatable to the Israeli public and induce Netanyahu to include Arab Israeli terrorists (which Israel had never endorsed) in the final phase. If Pollard, who by any benchmark should have been released a long time ago, is now to be used as a pawn to pressure Israel to release more mass murderers, it reflects an abominable, almost obscene, lapse in morality on the part of the Obama Administration. To add to this madness, Abbas demands further that even if we release the last batch of murderers, he will not proceed with further “negotiations” unless Israel undertakes to release more killers and freezes all construction over the green line. Even Tzipi Livni despaired, agreeing that under such circumstances the final phase should not be implemented. 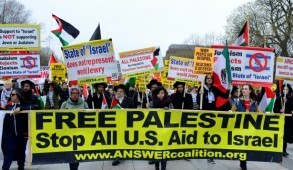 Our government must be aware that irrespective of what concessions Israel makes, once the Palestinians feel that they have squeezed to the maximum, they will then proceed to the United Nations and canvass the international courts at The Hague to charge us with breaches of international law in order to initiate boycotts and delegitimize us. We are not privy to the threats the government is facing from the US Administration. But Netanyahu must now consider biting the bullet, rejecting American pressure and, if necessary, presenting our case directly to the American people. 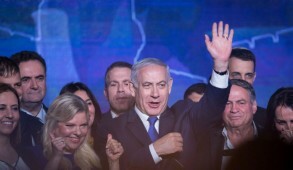 We would reiterate that there is no desire to rule over Palestinians – emphasizing that the overwhelming majority are effectively already ruling themselves. It must be stressed that Israel is located in a regional scorpion’s den, drawing attention to the barbaric and bestial crimes in which over 150,000 people were butchered in Syria. Missiles are still being launched against our civilians from neighboring Palestinians. We should remind them that we face barbarians at our gates and that our principal concern is to ensure the security of our children and grandchildren. For that reason, if we cannot reach a meaningful agreement, we must reluctantly live with the status quo. Israel will continue to promote economic relations with the Palestinians, hoping that in the course of time, new leaders will emerge who are willing to make concessions and recognize our security requirements. Then the two state solution could become an overnight reality and joint Israel Palestinian co-operation would enable us all to prosper and enjoy a bright future. 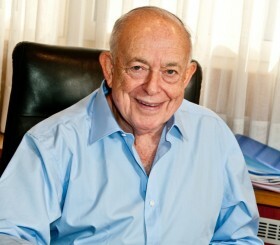 This is the distant dream to which most Israelis still aspire but alas, as of now, is not even on the horizon.